The growing infusion of Iranian-backed Lebanese and Iraqi Shiite fighters into the Syrian civil war is causing some veteran pundits to panic. Vali Nasr, dean of the School of Advanced International Studies at Johns Hopkins University, warns that "Iran is beating the U.S. in Syria." Former Bush administration deputy national security adviser Elliot Abrams sees "a humiliating defeat of the United States at the hands of Iran." Nothing could be further from the truth. Setting aside the matter of how Washington can be losing a war it is not fighting, the claim that Iran is winning is dead wrong. The Islamic Republic's headlong intervention in Syria is akin to Nazi Germany's surge of military forces into the Battle of Stalingrad in the fall of 1942 – an operationally competent, strategic blunder of epic proportions. To be sure, the influx of thousands of foreign (mostly non-Iranian) Shiite fighters into Syria in recent months has enabled pro-regime forces to regain some ground in the Damascus suburbs and a belt of territory linking the capital to Homs and the coast. The town of Qusayr, critical to both rebel and regime supply lines into Lebanon, fell on June 5. That's a shame, but the Iranian surge won't prevent the overwhelmingly Sunni Arab rebels from eventually prevailing on the battlefield. Sunni Arabs have a 5-to-1 demographic edge over the minority Alawites who comprise most uniformed and paramilitary pro-regime combatants, and a 2-to-1 advantage over all of Syria's ethno-sectarian minorities combined. The rebels are strongly supported by the overwhelming majority of Arabs and Muslims worldwide who are Sunnis, and their four principal sponsors – Turkey, Saudi Arabia, Qatar, and Jordan – have a GDP well over twice that of Iran. Russia continues to do business with the regime, but it won't intervene decisively enough to change the math. Like the vaunted German Wehrmacht in the Stalingrad kessel, Iran's expeditionary forces have been thrown into a tactical military environment for which they are woefully unprepared. Although Hezbollah wrote the book on guerrilla warfare against conventional militaries, it has little experience fighting battle-hardened insurgents on unfamiliar terrain – and it shows. At least 141 Hezbollah fighters were killed in the span of just one month fighting in the battle for Qusayr, many of them elite commandos who cannot easily be replaced. Iran's mobilization of Lebanese and Iraqi Shiites to fight for their distant theological cousins in Syria is unlikely to keep pace with such losses, or with the increased influx of foreign Sunni Islamists sure to come in reaction to it. In the wake of Hezbollah Secretary-General Hassan Nasrallah's May 25 declaration to his Shiite followers that the Syrian war is "our battle," the Qatar-based spiritual leader of the Muslim Brotherhood, Yusuf al-Qaradawi, issued a fatwa calling on all Muslims with military training to fight in Syria (something he never did with respect to Israel) and characterizing the conflict as a worldwide struggle between "100 million Shiites" and "1.7 billion [Sunni] Muslims." Of course, divisions among both the rebels and their external sponsors have greatly slowed the march to Damascus. Because Syrian President Bashar Assad's ultimate defeat is a foregone conclusion, all of the major players (the United States included) are focused more on bolstering their equity within the eventually-to-be-victorious rebel camp than on hastening its advance. But the eventual aggregation and coordination of sufficient rebel manpower and resources to decisively defeat pro-regime forces (first in Damascus, later in the rest of Syria) is inevitable so long as none of the players bow out or switch sides. Iran's only hope of avoiding this path is to make the humanitarian cost of a decisive rebel military victory so horrific that the international community will step in and force the rebels to accept a Lebanon-style "no victor, no vanquished" political compromise. This would leave pro-regime forces intact and well poised to subvert the post-war transition, much as Hezbollah's militia survived and thrived following the end of Lebanon's 1975-1990 civil war. But this scenario necessitates a rebel leadership willing to accept, and united enough to enforce, a ceasefire that leaves pro-regime forces in control of large swathes of the country during the transition process. With Jabhat al-Nusra and other militant jihadist groups in Syria continuing to grow in strength, neither condition will obtain for the foreseeable future. Iranian Supreme Leader Ayatollah Ali Khamenei could have cut his losses early on by allowing the Assad regime to die a natural death and building bridges with its successor. Such an accommodation would have greatly impaired Iran's ability to transport heavy weapons to Hezbollah, but its Lebanese proxy would still have remained Israel's deadliest security threat for years to come. Hamas, which effectively severed its alliance with Tehran as a result of the Syria conflict, would probably have kept at least one foot in the Iranian axis. Khamenei likely declined to take this path for the same reason that Hitler refused to disengage from a no-win military confrontation in Stalingrad – a deeply metaphysical confidence in ultimate victory. This delusion will cost him a great deal more than Syria. Even before the surge, Iran's massive infusions of cash into Syria (12.6 billion dollars, according to one estimate) and stepped up training of pro-Assad forces had greatly inflamed animosity toward the Islamic Republic and its proxies throughout the Arab-Islamic world. After years of successfully mobilizing Arabs against Israel (as recently as 2008, polling still showed Nasrallah to be the Arab world's most popular public figure), Tehran has managed to incite even greater hostility to itself in a fraction of the time. A recent survey by James Zogby shows that Iran's favorability ratings have fallen to an all-time low in majority Sunni countries (dropping from 85 percent to 15 percent in Saudi Arabia between 2006 and 2012, for example). Syria, he writes, has become the "nail in the coffin" of Iran's standing in the region. The inflamed sectarianism wrought by Iran, according to a detailed study by Geneive Abdo of the Brookings Institution, is likely to supersede the Israeli-Palestinian conflict "as the central mobilizing factor for Arab political life." In addition to sabotaging its regional hegemonic ambitions, intervention in Syria may also have dire domestic political consequences for the Islamic Republic. The regime's involvement in a chronic sectarian conflict is sure to steadily alienate its own restive Sunni minority, while the strain on its sanctions-riddled economy will only get worse. Most importantly, the ignominious collapse of its claim to pan-Islamic leadership erodes one of the main pillars of its legitimacy in the eyes of Shiites. There are no silver linings. While Abrams insists that the United States should be working to "deter" Iran "from sending more fighters to help save Assad," he's got it all wrong. The Obama administration should copy the late Soviet General Georgy Zhukov and focus not on combating the foolhardy Iranian surge, but on exploiting the strategic and political flanks left exposed by it. 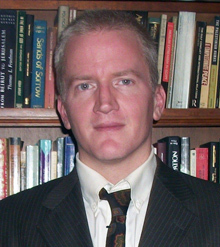 Gary C. Gambill is a frequent contributor to Foreign Policy, The National Interest, and The National Post. Formerly editor of Middle East Intelligence Bulletin and Mideast Monitor, Gambill is an associate fellow at the Middle East Forum.